EXCLUSIVE: Callum Hudson-Odoi described "monkey" chants by Montenegro supporters as "unacceptable" and hopes that UEFA will deal with it following England's EURO 2020 qualifier. England ran out 5-1 winner, but alleged racist abuse directed at England players towards the end of the Group A contest threatens to overshadow the match, with Raheem Sterling appearing to react to the chants while celebrating the fifth goal. 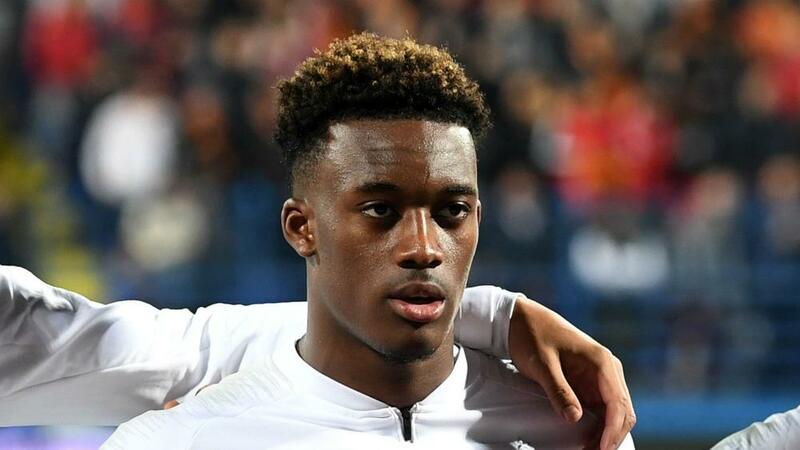 Chelsea forward Hudson-Odoi – making his first start for the Three Lions – confirmed he heard "monkey stuff" from the stands and the 18 year-old hopes robust action will be taken.